Keep your teeth healthy with dental insurance for seniors. This site provides seniors with many options for affordable dental insurance. As humans begin to age, we find our teeth need more and more care. One of the simplest things you can do is have quality dental coverage to keep on track with your dental needs. You can read below for more information or Get a Quick Quote. No Co-pays for Preventive! This means you get two cleanings, two exams, and X-rays each year, and you pay nothing. Free fits in everyone’s budget! During those tough years when dental problems occur, you only pay a $50 deductible and then the plan pays percentages between 50% and 80% depending on which plan you choose. Access to National PPO Networks! 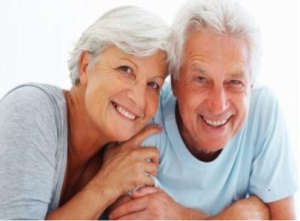 PPO dental plans are popular for seniors due to ease of access. PPO plans allow members to select their own dentist. These plans are praised not only for flexibility, but also the access they provide to low cost dental procedures compared to indemnity plans. With a PPO dental policy the insurance company give you negotiated rates. Essentially, the insurance company has the dentist sign a contract guaranteeing you wholesale rates. While PPO networks offer the greatest savings to plan members who select an in-network dentist, members still have the freedom to choose a provider out-of-network. Increasing Annual Maximums! Many dental insurance plans for seniors reward you for continued plan participation. Plans such as the Humana Loyalty Plus. Meanwhile the Dental Gen Plans give you first day benefits beyond a $1000 limit. When Can I Use my Senior Dental Insurance? In many cases after you are enrolled, all covered benefits are available on your effective date. After submitting your application, it takes about seven days to receive your card in the mail. It is best to wait for your card before going to the dentist, but many applicants do book an appointment right after they apply for coverage. Need Coverage? Get a quote on Senior Dental Insurance Plans. Is Dental Insurance for Seniors Available for my Entire Family? Yes, it is no problem to enroll your spouse, or your children on your dental policy. The rates do go up in relation to the amount of members you have on the policy. Larger families may see a slight discount in cost. When adding vision to the dental policy, the dental and vision package will give you more discounts depending on household size. Dental Insurance for Seniors has Vision too? Yes, you can add vision insurance for a very little amount. Many plans only charge $5 – $7 extra for vision insurance. Seniors can save a great deal of money by packaging dental and vision. How much does Senior Dental Insurance Cost, I’m on a budget? With millions of seniors being on a fixed income, dental insurance coverage may not fit in everyone’s budget. The good news is that some plans available are as low as $16 a month. While these plans do have limitations, they still get you access to much needed dental care. The key point to dental care is routine. Individuals with dental insurance are twice as likely to have a cleaning every six months as opposed to a person without dental insurance. A great benefit of dental insurance is that it adds structure to a person’s dental care. When cleanings are free members take advantage of the benefit. There are many dental insurance companies for seniors. Some companies specifically sell policies to seniors, while other companies are open to applicants of all ages. Some larger states such as Florida and Texas have many options for senior dental insurance, while smaller states may only have a few plans available. Here is a listing of some of the most popular companies offering dental insurance through seniors. 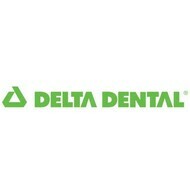 Aetna Dental Insurance is offered in limited areas at this time. 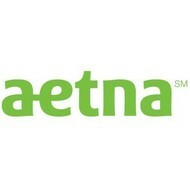 Aetna mostly offers coverage to employers and companies that participate in large group coverage. In years past Aetna dental insurance for seniors was mostly offered in conjunction with a Medicare Supplement plan. Anthem Blue Cross Blue Shield offers dental insurance in most states, and is probably the most popular in Georgia, Indiana, and Virginia. However, the Anthem BCBS dental is currently overpriced. 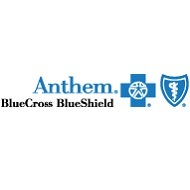 If you have Anthem Blue Cross Blue Shield dental insurance, we strong suggest getting a quote for a new plan. Anthem is a popular option for employer group dental, but not as much for individual coverage or dental insurance for seniors. Assurant Health which has recently come to be known as Time Insurance company. Offers indemnity dental insurance. These plans are neither PPO nor HMO, but rather a policy that focuses on re-reimbursements. These types of plans are best for people whose doctors are not, in-network, and do not accept insurance. The problem with Assurant dental is that applicants have to file claims on their own. So first you would pay for the service, and then submit the claim to the insurance company. Cigna was recently purchased by Anthem Blue Cross Blue Shield, but they still offer dental policies for seniors under the Cigna name. 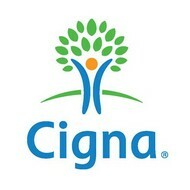 Cigna dental is available in a handful of states. Like it’s parent company Anthem, Cigna dental is most commonly purchased by employers and used in connection with large group insurance. 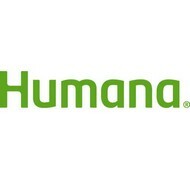 Humana dental insurance is marketed under the branding of HumanaOne. HumanaOne dental insurance is a true individual product created for people who have to buy their own coverage. Visit our HumanaOne Dental Insurance web page to learn more. 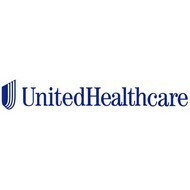 UnitedHealthcare dental insurance is underwritten and sold by Golden Rule Insurance Company. It is a commonly purchased dental insurance for individuals and families of all ages. These dental insurance products have existed for decades and have the ability to offer quality PPO coverage. 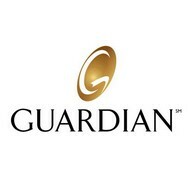 Golden Rule Insurance Company, is a UnitedHealthcare company that offers it’s policies to individuals, families, and seniors. It also has an optional vision rider which many applicants add to their policy. Visit our Golden Rule Dental Insurance web page for more details. What about Discount Dental for Seniors? Be very leery of any Discount Dental Plans. A Dental Plan is NOT Dental Insurance. 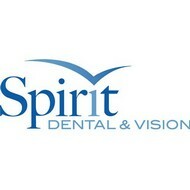 All the plans we represent on this site are REAL Dental Insurance. This means it would contain plan benefits typical to what you may have experienced in the past through an employer. One of the most notorious sites for discount cards is DentalPlans. It is very seldom that these products would make sense to purchase. Discount cards seldom contribute ANY money toward any procedure. They simply get you a discount…. Discount Cards are NOT insurance and are NOT reviewed by the department of insurance. I thought Medicare Covered My Dental Insurance Needs? No, Medicare does not cover you dental needs. Some Medicare Advantage plans may offer limited dental coverage, but for the most part Medicare Part A is Hospital and Medicare Part B is out-patient. The good news is QuoteFinder.Org offers several affordable dental insurance plans for seniors. How do I Get a Quote on Dental Insurance for Seniors? It is best to fill out the quote form below to get access to a number of plans available to you. The quote form below will give you more information. Once a year Medicare beneficiaries can enroll into or change their Medicare Advantage Plan. This year’s Annual Enrollment Period runs from October 15 to December 7. This is also the best time to also check on dental insurance. Medicare will not cover most dental needs. For example Medicare does not cover dental procedures, or supplies, like cleanings, fillings, tooth extractions, dentures, dental plates, or other dental devices. The exception would be reconstruction of the jaw following accidental injury that severely damaged the individual. Some Medicare Advantage plans do have a limited dental benefit, however this is not the comprehensive coverage a person is used to from when they may have had employer group benefits. What is more concerning is Medicare recipients are more in need of dental coverage than any other segment of the population. The average person over 65 years old or older spends $1,154.00 a year on dental care. If you have Medicare Supplement insurance, then you also do not have dental coverage. Many seniors are now purchasing an individual dental plan to get comprehensive coverage on services such as root canals, dentures, crowns, bridgework, and dental implants. Here are some standard listings of what most dental policies cover. Be sure to check on Senior Dental Insurance today. The form below is the first step to reviewing all the senior dental insurance plans available in your area. This website works with dozens of dental insurance policies. The best dental insurance policy depends on your exact needs. 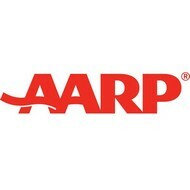 Hot Tip: Insurance companies make less money from seniors than any other age group. Seniors have a high rate of plan usage. Once you submit for your senior dental quote, you will learn about many options that are available. 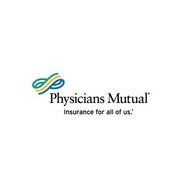 Below are just a few images of some of the most popular dental insurance brands. 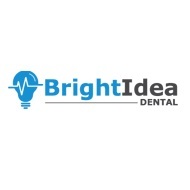 Our website works with 22 different dental insurance companies and over 50 different plans. How long until I can use my Dental Insurance? Preventive dental coverage such as cleanings are always available to use instantly. This means on your policy effective date you are allowed see the dentist, get cleanings, x-rays, and exams. Some Basic and Major dental procedures may have waiting periods associated with the treatments. However, we work with many companies that offer coverage instantly on basic and major dental work. Learn more about this on our dental insurance page. What is the Best Senior Dental Insurance Plan? Our licenses staff handles over 100,000 calls per a year. The only thing we absolutely know 100% for certain is that the best plan depends on what the client needs. QuoteFinder.Org is a site that focuses 100% on the needs of the client. Many times we speak with a husband and wife whose needs are so different, that we enroll them on different dental policies. As an independent insurance agency that is U.S. owned and operated (we never outsource), we earn modest incomes selling affordable consumer driven dental insurance policies, but we understand that each senior needs to be lined up with the best dental insurance policy to meet their unique needs. Many of our policies are only $17 to $40 a month. If you are reading this exact web page, then it probably means you have dug through the internet and have not found the product that fits your budget and meets your needs. That is the exact client we are looking for. 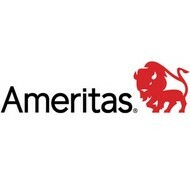 It takes 14 months for our QuoteFinder.Org to train a new agent because the dental insurance world is extremely large. We take pride in helping you on your search. For every good dental product being sold, the internet has 65 bad products. Our licensed staff can keep you away from the bad products and guide you in the right direction. Approximately 50% of the people we speak with enroll in a plan with us. We have an excellent chance of meeting your senior dental insurance needs.